There are things that are known, those which are unknown, and inbetween are the doors of digital perception, when these are opened the world will appear to the viewer as it truely is…infinite. Words are power and when arranged in the right way they form phrases, which can become insiprational bits of revolution. The Red Scarlet has been called a DSLR Killer in various online forums, and this naturally makes the mind think twice. DSLR Killer? How does one kill the embodiment of the whole digital photography industry, the marker by which all other digital imaging products are measured? Of course, there area calls of impossibility. What! 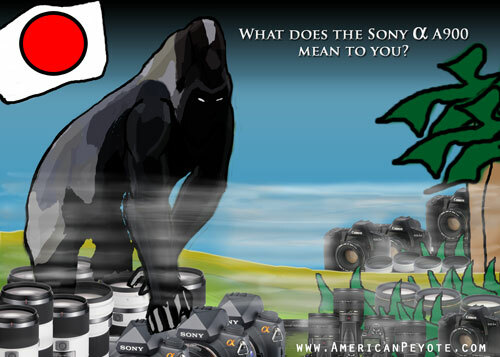 How can one company challenge the Old Guard of Canikon and repell attacks by the 800 pound Sony DSLR Gorilla? 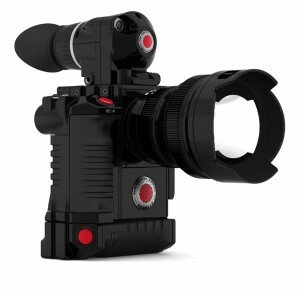 Red has released the specs of the SCARLET and EPIC Digital Still & Motion Camera (DSMC) systems. The images and specs were released on the reduser.net and included the DSLR-like configuration shown above. What, you want to shoot full-frame 35mm, oh…, no, you want to shoot in full-frame 645, ahhh, ok, you’d prefer to shoot in the digital 617 format today? NO PROBLEM. The new SCARLET and EPIC cameras are completely, 100% modular, upgradable, and fully custimizable to whatever shooting setup you want. The base SCARLET Brain (imaging sensor body) will go for only 2500 USD. Of course you need to add on a lens, viewfinder, etc. But the SCARLET now fullfills the desire of many serious photogrpahers, because you can build the camera you want to use. Detractors have said to compete with Canikon RED is at a disadvantge, since they need lenses to compete. Well, RED offers a full range from f/2.8 zooms to f/1.5 primes including some with image stabilization – simply awesome. Or, you can just get a Canon or Nikon lens mount and use any of the millions of compatible lenses already on the market. YES! The SCARLET allows three lens mounts, including Canikon and RED. At the heart of the new SCARLET and EPIC systems is the ability to choose the sensor size you need. Sizes include 2/3”, 35mm full frame, and then go on up to 186×56 mm. In megapixels this means a range from 4.9 up to 261 MegaPixels. The Mysterium-X, Monstro, and Mysterium sensors offer A/D conversions from 12-16 bit, and 11-13 stops of dynamic range. The maximum frames per second are 25-120fps. And since the system is fully modular, you can even do things like putting two Brains together and shooting directly for 3D with a stereo camera setup. And of course, since the system is modular, as sensor technology improves, you just buy a new one, a concept which should have been implemented 4 or 5 years ago by Nikon or Canon. RED of course, has an advantage against the old skool camera makers. They are a very forward looking company, which has designed their cameras exactly how new technology should be developed – without the lethargy of an old skool company which simply increments old designs. Why do we fly in airplanes with static wings while birds have aeroelastically adaptable wing structures? Why do we produce energy from coal when there are abundent sources of clean power? Because too often companies introduce technology in small increments instead of challenging the concept of their product line. As a technology fanatic and one who thinks in moving pictures instead of still images, it’s obvious that the SCARLET is, in fact be the first step in killing off the DSLR. The truth is, the DSLR has been heading towards the meat packing district for sometime now. The resolution limit of DSLRs, has for all practical reasons been reached. The funtionality and draw of the DSLR has been that if offers higher picture quality than small compacts, but is more affordable and functional than medium format digital back systems. But things change. The Sony A900 now offers near medium format back quality in a small and relatively affordable package, while the next generation of pro high resolution handheld cameras are coming in the form of the Leica S2 and Nikon D4 (or whatever Nikon calls it), the former already released, and the latter rumored to be ready for 2009, and both having a larger than full-frame 35mm sensor. With advancements in the pocket camera market, such as the Panasonic LX3, Ricoh GX200, Canon G10 and a host of followers, why do people need the DSLR construct? The Canon 5D-II is only a relevant design because of it’s video capabilies. Most people will be buying it to mix photo and video in one package, or as a high quality HD camera. I would rather have a high tech cinema camera that shoots stills than a high quality DSLR which does video. So why do DSLRs exist at all? A long time ago in a world very close to the Earth, the ability to develop chemicals on paper to reveal an image was far easier to realize than painting a portrait. The large format film camera was replaced with medium and now the small 35mm format film cameras, and now that digital imaging has enabled the packaging of high-quality video in a hand-held package, I wonder, what is the point of shooting with a DSLR, an instrument which is simply the latest design iteration to solve the problem of communicating with visual imagery? The end is near, and hack camera writers across the web are digging in for the mad-capped pseudo blood-bath set to be unleashed on the digital camera world. 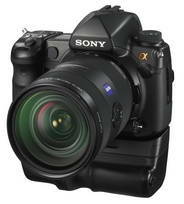 The release of the Sony A900, the full-framed 24 Megapixel beast will be launched before the end of 2008. There’s little doubt that Sony will unveil a DSLR marketing spectacle like the world has never seen at Photokina 2008 in Cologne (September 23rd-28th), and it might even be worth attending this year. For give-or-take a decade now the DSLR market has been dominated by small sensor APS-sensor sized offerings, and Full Frame 35mm sized image sensors have been integrated into only a few cameras models, such as in the release of high-end Canon cameras such as the EOS-1Ds and more affordable 5D models, plus a few washout releases by Kodak. Full-frame 35mm image sensors have many advantages, in particular that the majority of DSLR lenses are designed for that sensor size. All the benefits of selective focus and shallow depth of field can be fully exploited when paired with 35mm sensors, which are less pronounced when one uses a 35mm-designed lens on an APS-sized camera body. So far the benefits of larger imaging sensors have stayed in the plus of $2500-$3000 (at the low end). Even the recent release of the affordable ($3000 MSRP) 35mm full-frame camera by Nikon; the D700 is really only there for professionals and gear heads thirsty to drop money on a new trophy camera. The D700 competes directly with the Canon 5D, which originally brought full-frame capabilities to pros and advanced amateurs the world over for the lowly MSRP price of $3299. The release of the Canon 5D and Nikon D700 were significant, but for true innovation the market need competition. Competition benefits the consumer, and Canon has been the Microsoft of the digital camera market, nearly fully dominating the 35mm full-frame digital segment since it started. There’s good reason for it; Canon does cameras, lenses, sensors, and software/firmware, all of which are key components needed to produce a successful digital camera. Canon has the means of developing all of these essential components in-house using one design strategy. By comparison, every other DSLR company has been able to do maybe two of the above (at most), but without the last piece of the development puzzle it’s been difficult to match Canon, which generally means the ability to develop and manufacture the imaging sensor. Many companies, such as Nikon have relied on partner companies to design and manufacture the imaging sensors. So while Nikon, Pentax, Minolta, Leica and Olympus could design great cameras and lenses, they couldn’t build DSLRs without sensors from companies like Sony. Sony produces many of the imaging sensors used in current point-and-shoot as wells as DSLR cameras. But it wasn’t until Sony bought the camera technology from Minolta that they could start developing the Alpha DSLR System. The true strength of Canon has been its ability to develop, manufacture, and release DSLR models faster and with more precision than the competition. Even Nikon hasn’t kept up with the Canon camera release cycle and only released its first full-frame model a year ago in the form of the D3. Nikon is improving in this respect, but there is now another beast in the DSLR Jungle. Unlike every other camera company, Sony can actually match and beat Canon in the camera development game. Sony bought the camera and lens technology from Minolta, who got out of the camera business because it couldn’t develop and release cameras at the rate of competitors. Sony has partnered with Carl Zeiss, who now designs and oversees production of high-end lenses and markets the Zeiss ZA line for the Sony Alpha mount. And as a final piece in the puzzle, Sony can design and produce their own imaging sensors, which is something only Canon does at the moment (although Nikon has recently started down this road with the D3 and D700). Add to that the fact that Sony is huge, with distribution centers and marketing people in every corner of the globe, and it’s a sure bet that with an aggressive business strategy they’ll change the DSLR playing field. Why? Because Sony doesn’t enter markets just to release products, they’re a contender. Sony over turned the high-end video and camcorder markets, and they’re poised to do the same with DSLRs – with the new A900. The soon to be released A900 from Sony could change the status quo of the DSLR world. The release of the A900 will mean that together with Canon and Nikon, there will be three major development and manufacturing entities producing and marketing DSLRs with full-framed 35mm image sensors to the general consumer market. The potential technology infusion and price reductions could be the first real signs of an end (or at a least plateau) to the DSLR evolution game. The 2007/08 DSLR offerings from Sony have been significant. The A700 was released in late 2007. Essentially the upgrade to the Minolta 7D, which fans of the camera had been waiting for, which showed the world that Sony can design and manufacture a serious DSLR. Sony has implemented excellent Live-View capabilities as well as vibration reduction technology into their camera bodies (like the Sony A350), at prices which make the Alpha system extremely attractive for camera buyers transitioning from point-and-shoot models to DSLRs. Once one transitions from a Sony W300 point-and-shoot to an A200, A300, A350, or A700 DSLR; the energized customer will be thirsty for something…more. The A900 will be the ultimate fulfillment of that thirst (at least until the next model), and has the potential to establish Sony as a serious camera Brand – not a rebagged Minolta camera maker, not a me-too-jump-on-the-bandwagen DSLR distributer, but a full-time serious contender in the DSLR Jungle. The most important notion here is that a full-frame DSLR from Sony will have to have a price lower than that of Nikon and Canon to be competitive. The A900 will have Sony Super SteadyShot (SSS) built into the body as well as a 24.6 Megapixel CMOS imaging sensor. According to Mark Weir (Sony Digital Imaging and Audio Division), the senior technology and marketing manager of the Alpha camera line, the 24.6 Megapixel sensor will achieve very low noise due to an intelligent A/D converter technique (as reported at PMA 2008 in a Calumet Photo interveiw). This could be significant, since it is generally felt that sensor noise has to dramatically increase with high pixel density. If the A900 retains it’s high resolution with low noise levels and is offered at a price point below that of the competitors, the A900 could be an excellent options for photographers needing medium format resolution in a 35mm sized body. The next camera with such features is the Canon 1Ds-Mark III, which boasts 21 Megapixels and retails for nearly $8,000. The true profits for digital camera makers is not in the cameras but in the system. Sony lenses, memory cards, flashes, and other random add-ons is where the long-term profit strategy exists. The point is to get people into the Alpha System, because once you have a sweet 24 megapixel beast in your hand, you want to fully exploit its potential with a Carl Zeiss 24-70 f/2.8, Sony 80-200 f/2.8, or any of the variety of other lenses which are currently available – as well as those that will be released into the marketplace. Not to mention a vertical grip to make the camera look cool, as well as the flagship Sony FL-58 flash, which actually has one of the most innovative head designs of any other maker, and boasts excellent wireless control for additional flashes. I’m looking forward to the Sony A900, and might actually buy one. The successful Canon 5D is now essentailly discontinued and can be had for less than $2000, but only until the successor is released (probably called the Canon 6D). Aside from the new Canon 5D replacement and the new offerings from Nikon (the just released D700 and soon to be here D3x), the Sony A900 should have the biggest impact on the DSLR market in 2009. It will affect camera prices, encourage (more like force) innovation, and no matter your favorite brand, the release of the A900 will have a positive impact on the DSLR Jungle.